Intercept surveys—a selection of questions asked to a random sampling of bike share riders or passersby about their current trip, travel patterns, or attitudes and beliefs —are a tried-and-true method of gathering transportation information. They are especially effective at reaching casual bike share users, people on their own bikes, and people who aren’t riding; linking behavior and perceptions to demographics; and targeting specific geographic areas. Intercept surveys’ unique characteristics make them well suited to capture data missed by other methods and are better at reaching members of lower-income communities. 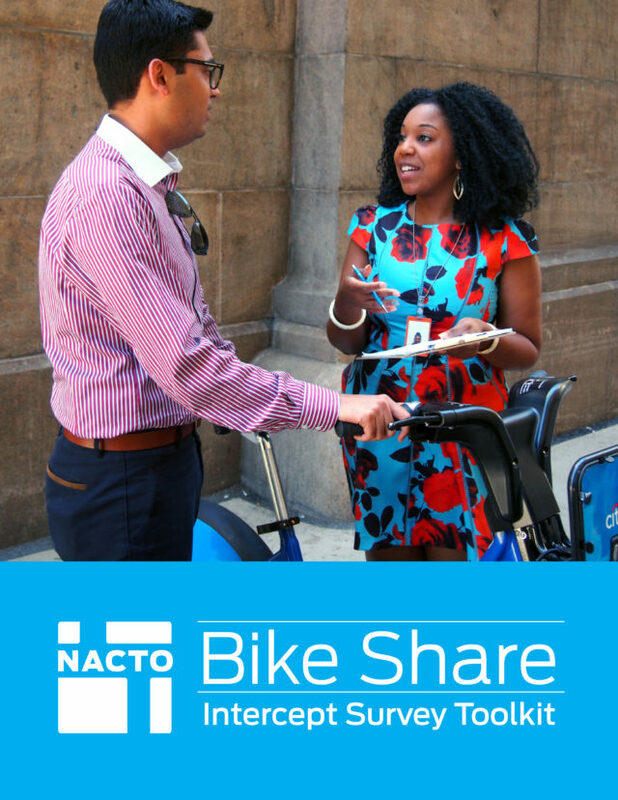 NACTO’s Bike Share Intercept Survey Toolkit gives detailed instructions and a bank of over 100 pre-tested questions for creating and carrying out methodologically sound on-the-street surveys, allowing you to learn more about the needs and attitudes of all members of your community. The time and cost savings mean that you can reach more people, ask more questions, and perform more in-depth analyses. As a result of using bike share, how much more or less often do you ride a bicycle? How often do you come to this area to shop or visit other businesses? Can you tell me any of the subsidies and discounts you know about for the city’s bike share program? Does this prevent you from using bike share? How strongly do you agree or disagree?